Plantar fasciitis is a condition that is known to particularly affect athletes, especially those who run or repetitively place pressure on the feet. 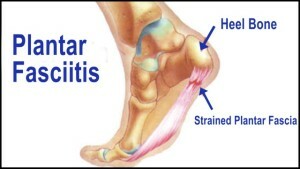 Plantar fasciitis is an injury that results from overload. If the recovery time between training sessions is not enough, the plantar fascia will begin to tear. Treatment for plantar fasciitis can include painkillers, anti-inflammatory drugs, orthotics, or extracorporeal shockwave therapy. However, stretching and strengthening are an important part of the treatment to prevent future injuries. Plantar fasciitis can be very painful and inconvenient. If you are experiencing heel pain or symptoms, visit one of our podiatrists from Foot HealthCare Associates. Our doctors can treat your heel pain as well as any other foot or ankle condition. This type of heel pain is the inflammation of the thick band of tissue that runs along the bottom of your foot, known as the plantar fascia, and causes mild to severe heel pain. While very treatable, you should not ignore plantar fasciitis. Especially in severe cases, the best course is to speak to your doctor right away. Therefore, the best way to avoid the complications that accompany severe heel pain. Your podiatrist can work with you to provide the appropriate treatment options tailored to your condition. Finally, if you have any questions, please feel free to contact one of our offices located in Michigan. We offer the newest diagnostic and treatment technologies for all your foot care needs.